Y Combinator startup B2Brev wants to help small to medium sized businesses figure out which products and services to use, by serving as a venue for aggregated reviews. Starting out by dipping its toe into the daily deals vertical, B2Brev has aggregated over 2500 merchant reviews for daily deals sites, with 2000 from Groupon and LivingSocial alone. In the same space as ChoiceVendor (which was acquired by LinkedIn) and Best Vendor, co-founders Dannie Chu and Jay Moon liken B2Brev to workplace review site Glassdoor, where small businesses submit reviews of services in order to gain access to other reviews. 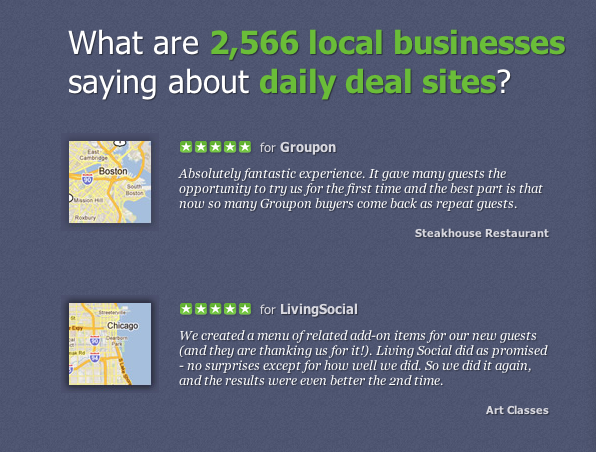 Using this model, B2Brev managed to accumulate 160K words worth of reviews with their daily deals initiative. B2Brev tells me that they eventually want to expand to other verticals like reservation systems. 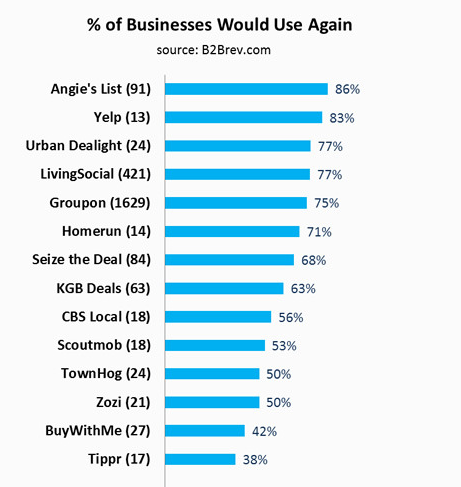 In its initial survey of merchants who had used a daily deal, B2Brev has unearthed valuable data about Groupon and LivingSocial’s return. 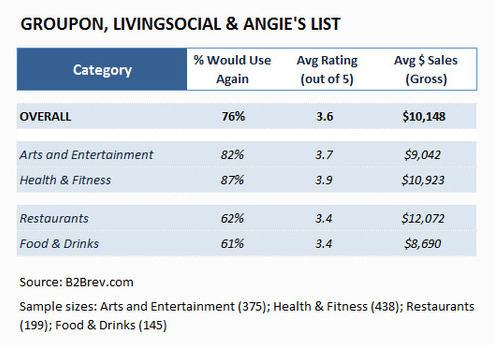 Despite a run of negative press pre-IPO, survey results for Groupon and LivingSocial are optimistic, showing that 3 out of 4 merchants are willing to try another daily deal after running one initially. Co-founders Chu and Moon also discovered that the percentages of businesses who would return to a daily deals model varied between different types of businesses, with health and entertainment services like personal trainers experiencing the best results from Daily Deals sites and food and drinks merchants restaurants experiencing the lowest numbers of people saying they’d like to re-run a deal. B2Brev eventually plans on monetizing from lead generation, i.e. taking an affiliate fee for connecting businesses who want products and services with other businesses who provide products and services. For the time being they are selling research reports at $10K apiece, starting with the 70+ page “Daily Deals: The Merchant Perspective” (table of contents, below).